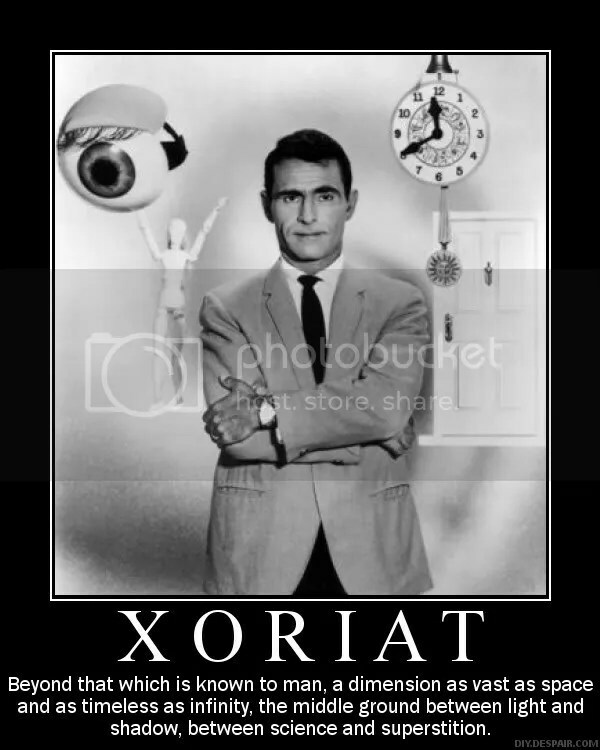 Xoriat, it’s kind of like that. If you thought their creations were scary, you ain’t seen nothin’ yet! The terrifying masters of Xoriat are a seemingly all powerful alien force. For ages, they’ve been behind much of the tension and turmoil in Eberron. Some suspect that they control the realm best known in the multiverse as the “Far Realm.” In fact, some scholars think it to be the very same plane as Xoriat. No matter the truth, this fleshcrafting menace has goals still mostly unknown to everyone else. For all we know, the denizens that visit the material plane could just be foot soldiers… The worst could be yet to come! Perhaps even more disgusting mutants and experiments await those unfortunate enough to get too close to their clutches. And that’s not the most disturbing things about the Daelkyr. The most disturbing part is they look like us! Or should I say, WE look like THEM! Is this a Daelkyr lord or one of their warriors that slipped through reality? You decide! Either way, get ready to lose A LOT OF SANITY! Languages. Deep Speech, Common, Goblin, Daelkyr, Telepathy 120 ft.
Innate Spellcasting. The Daelkyr’s spellcasting ability is Intelligence (8 + Proficiency + Intelligence modifier/20) on spell saving throws. The Daelkyr may use this ability once per round, unless as indicated otherwise. Legendary Resistance (3/Day). If the Daelkyr fails its saving throw, it can choose to succeed. Maddening Aura. All creatures within 20 ft. of the Daelkyr are target of a continuous Confusion spell. If you leave the aura, you are no longer a target and any current effect from the aura ends at the end of your turn. Magical Resistance. The Daelkyr has advantage on all saving throws involving magic. Symbionts. Attacks made with Symbionts count as magical for the purposes of weakness and resistance. Multiattack. The Daelkyr can make up to 3 attacks of choice. Poison Whip. Melee Weapon Attack. +10 to hit, reach 10 ft., 1 creature. Hit: 6 (1d6+3) piercing + 3 (1d6) poison; Hit target must make a Con Save (DC 20) or become Poisoned. Stormwurm. Ranged Spell Attack. +12 to hit, ranged 60 ft., 1 creature. Hit: 10 (3d6) lightning damage. Gauntlet Claw. Melee Weapon Attack. +10 to hit, reach 5 ft., 1 creature. Hit: 8 (1d10+3) slashing damage; Hit target must make a Con Save (DC 20) or become Blinded until the end of their next turn. Legendary Actions. The Daelkyr can take 3 legendary actions, as details below. Only one legendary action may be used at a time. At the start of the Daelkyr’s next turn, it regains use of its legendary actions. Bonus Attack. You may make an extra attack. Mutational Spellcraft. You may cast Polymorph with the legendary action on you or another target. Made by Doctor Necrotic for Doctor Necrotic Media. Property of Wizards of the Coast and Keith Baker. Inspired by “Xoriat Scion” from the Eberron pathfinder wiki.